Tina Barr earned a PhD in poetry and a tenured professorship at a small college, and then she met a jazz pianist. In an era when younger poets are coming up through the slam and spoken-word scenes, 63-year-old Tina Barr is a traditionalist. The nature and landscape of Western North Carolina punctuate Barr’s poetry, and she prefers to deliver it through the printed word. 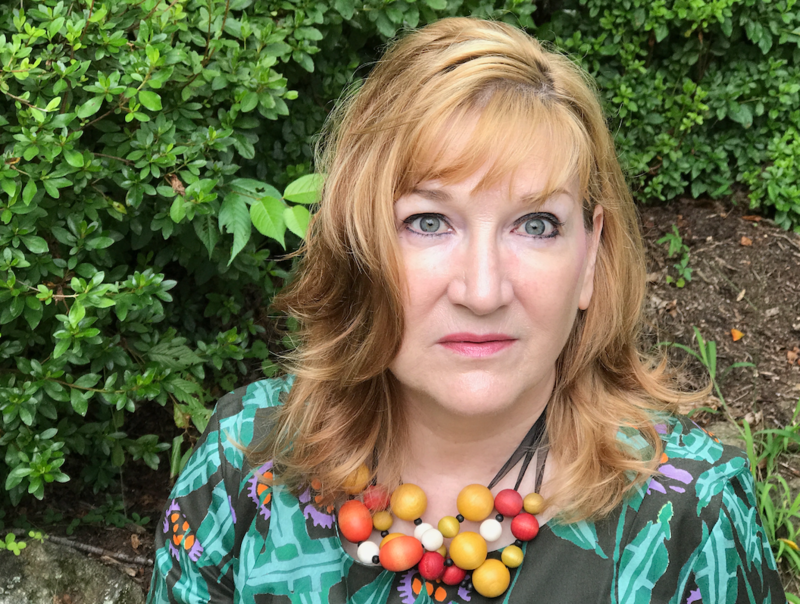 The new collection of Barr’s poetry, her third, is titled “Green Target.” You can hear her reading from her new collection of poetry from noon to 1:30pm Friday, Nov. 9, at the Black Mountain Center for the Arts. Barr grew up in a politically liberal family on Long Island, New York. She studied poetry at Sarah Lawrence College and went on to live in Manhattan, Philadelphia and Paris. She said her five extensive stays in Cairo, Egypt, over a five-year spell are central to much of her poetry. She taught poetry and started a creative writing program at Rhodes College in Memphis. She met the jazz pianist and composer Michael Jefry Stevens at an artists colony in New Hampshire, and Stevens moved to Memphis so they could marry. They were living the lives of urban artists, but after Barr’s mother died, 10 years ago, Barr felt called to the mountains of Western North Carolina. She gave up her tenured position at Rhodes and the couple moved to Black Mountain. While Stevens initially struggled to find a community of jazz artists in this region, Barr felt immediately at home. Barr teaches poetry through the Great Smokies Writing Program and, three years ago, she founded the Shining Rock Poetry Anthology, which archives work originally published in the New Yorker and other literary magazines. Michael Jefry Stevens stuttered badly when he was young, nearly died 20 years ago in a mugging and once declared bankruptcy. So it’s a little odd to hear Stevens say he believes he’s the beneficiary of good karma. Scott Gorski and Lindsey Miller are lucky they found each other, because it’s hard to imagine them making music with anyone else.